An Academy Award-nominated actress, poker shows hostess, and accomplished player who also did OK on reality TV highlight the talented list of candidates for 2018 induction into the Women in Poker Hall of Fame. Current members of the Hall and a select panel will cast ballots to determine which of the 11 nominees will be inducted in this year’s class. There are currently 19 members of the Women in Poker Hall of Fame, with Debbie Burkhead and Victoria Coren Mitchell joining the most recent class (2016). 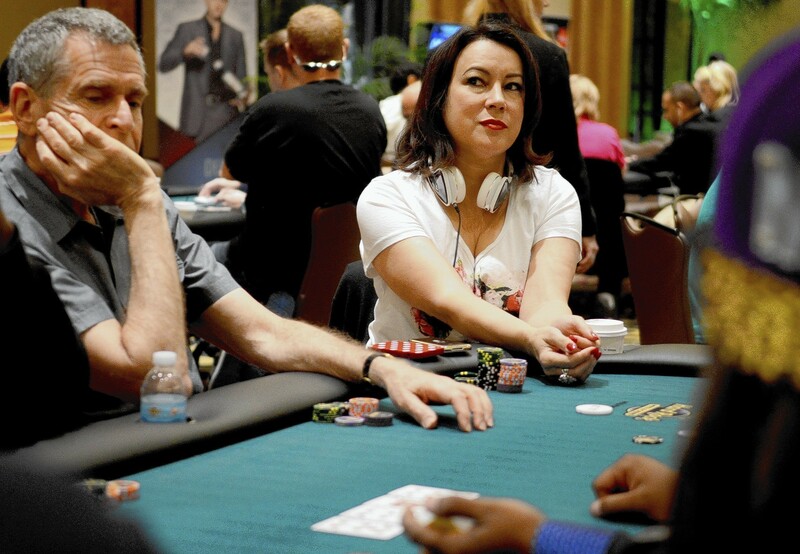 Voters will have a difficult time selecting 2-4 candidates from a list of individuals that includes Jennifer Tilly, Kara Scott, Maria Ho, and eight other women who have made significant contributions to the poker community. Tilly, an Academy Award-nominated actress, won a WSOP bracelet in the 2005 ladies event and has competed in numerous high stakes cash games. She has also invested her time and money in promoting various charities. “So honored to be in the company of these amazing women. It’s been a privilege to be a part of the poker community these past 13 years. I’ve met so many fantastic people,” Tilly tweeted. Ho is one of the most accomplished women poker players in history with $2.7 million in live tournament winnings, including a runner-up finish in a WPT high roller event in Los Angeles. 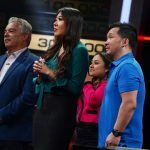 The former “Amazing Race” contestant is a commentator on PokerGO for events such as the World Series of Poker and Super High Roller Bowl. Scott, an 888poker ambassador, is one of poker’s most popular television commentators. She has provided commentary for the WSOP, WPT, EPT, “High Stakes Poker,” Super High Roller Bowl, and other televised poker shows for many years. There’s no secret that men dominate the game of poker in terms of participation. Women represent less than five percent of entries in the WSOP Main Event in most years, and a majority of players at cash game tables around the world are men. But for the game to continue to grow, more women must start playing. That’s why the Women in Poker Hall of Fame requires its potential candidates to be proponents of women in poker, and not just accomplished players. I would like to see all three get in at some point. All three are very worthy of getting in. Kara is my favorite out of the 3 of them but I would like to see Jen get in this year beacuse she has been around longer than the other 2. How can you have a Hall of Fame for people that are still actively playing and contributing to the game? For the three mentioned in this article, there’s no doubt that all of them should end up in the hall within 3 years at the most. The real question is how do you differentiate between their contributions? All three have promoted the game worldwide; all three are television personalities in their own right, and all three do so much off the felt that it’s hard to compare or compete against them. Personally I think Maria should win. Not only is she still one of the top women players today, but has done a lot to promote the game with her broadcasting capabilities and her current fame. Kara is known in North America mainly because she’s Canadian and her broadcasts on the WSOP – but this is why I think she won’t get there this year. Her work with 888 is not primarily directed at the western hemisphere, so unless the voters are mainly European I feel she’ll have the tougher time this year. Jennifer with her acting credentials, her relationship with Phil Laak, and her charity work should get her in this year. Poker is one of those games that men and women compete side by side equally and really needs to be promoted as such to bring more people – not just men or women – into this amazing game. Hi. I’m relatively new to the poker community, but it is cool to read about these women and their contributions and achievements. The article was well written and informative. Thx. who would not have received the award, I think that they are worthy of it in full. What a pleasure and what pride of Tilly, I am a follower of her and I admire her beauty and talent, I will cross her fingers and the best of vibes so that she will undoubtedly be in the Hall of Fame, she deserves it.